Fun-Filled Adventures to Cherish Again and Again! What would it be like to have a robot of your very own? 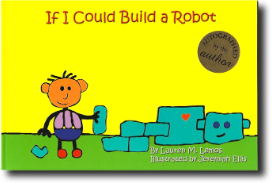 Join the Kid as he discovers the joys of life with a robot by his side. While out walking one day, the Kid spies a “Free Puppy” sign and imagines what a fine friend a puppy would be. Will his father let him bring the puppy home, and if so, will she still be waiting for him in the cardboard box? Monkeys play all day, swinging through the trees on vines, swimming in the blue lagoon, and snacking on bananas and coconuts. 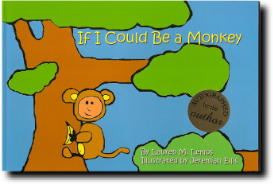 Would you like to be a monkey and live in the jungle too? 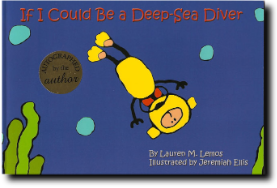 Take an underwater journey in a submarine and meet the crazy characters that live in the ocean: a king crab named Chester, a quartet of singing lobsters, an octopus with a beach ball, a mermaid who sleeps in an oyster shell, and many more. 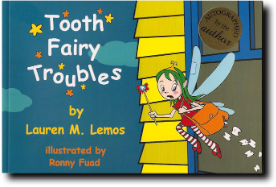 Tooth Fairy is all worn out from flying around every night collecting teeth, and she never has time for any fun. Can you help her before she walks off the job forever?